We’re mourning Sharonda Coleman-Singleton, Clementa Pinckney, Cynthia Hurd, Tywanza Sanders, Myra Thompson, Ethel Lee Lance, Daniel L. Simmons, Depayne Middleton, and Susie Jackson. They were killed last night at a prayer meeting at their church. All were members of Emanuel African Methodist Episcopal Church in Charleston, South Carolina. As a United Methodist minister, for me the racially motivated killings are a painful reminder of how the AME church came into being in the first place. John Wesley, founder of Methodism, described slavery as “that execrable sum of all villanies.” Yet when the Methodist church began as a denomination, free blacks in the northern United States were not free to worship alongside whites in the Methodist church. This led Richard Allen and others, who were members of St. George’s Methodist church in Philadelphia in 1787, to begin a movement that would give African Americans a way to worship in the Wesleyan tradition without being seen as second class citizens. As a result, in 1816, the African Methodist Episcopal Church was founded. This was the first denomination in the West that came into existence for sociological reasons instead of theological ones. Emanuel AME Church became a leader of the denomination. 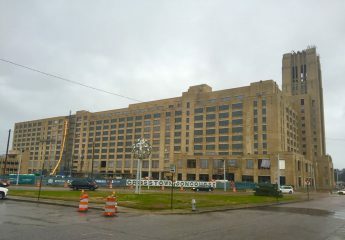 It was burned down once, but it was rebuilt. During the Civil Rights movement it played an important role in South Carolina. After her husband was killed, Coretta Scott King led a march from the church. The congregation has thrived. In addition to serving as a South Carolina leader in religion, the church’s pastor, Clementa Pinckney, served in both the South Carolina State House and State Senate. We’re mourning him today because last night, a young white man opened fire in the middle of a prayer service, laying bare the the old wounds that have torn us apart. The issues of religious violence lead the headlines of newspapers almost every day. Usually we see the Christian/Islam division, but in the United States the black/white divide among people who all claim to be Christian, even in perverted ways, is always close to the surface. I pray that everyone who theologically follows the Wesleyan movement – and, indeed, everyone who recognizes the inherent glory of peace and equality – will lock arms and walk together in a way that forever puts racism in its grave. Bethany struck me as being very sad from the moment I walked into the exam room. At 27, she had a number of small physical complaints, but nothing I could put my finger on. I came to the conclusion that the problem was depression, but over the years I have never been very good at telling young women that I think we need to be treating the cause of their depression rather than their physical symptoms. Often, patients become defensive when they come to see me with physical complaints and I ask them questions about their mental health. This is understandable: if a patient sees a doctor about their chronic stomach pains and they’re asked if something in their life has been causing them turmoil, they may think that the doctor is implying that their symptoms are “all in their head”. We all want to be taken seriously, especially when we’re experiencing pain of some sort. Unfortunately, on more than one occasion, patients have left before we finish the appointment because they are insulted by the thought that their physical pains are rooted in anxiety or depression. As a society, even though we’ve come a long way in accepting, loving, and successfully treating those around us who struggle with mental health issues, the stigma surrounding mental health is still very real. 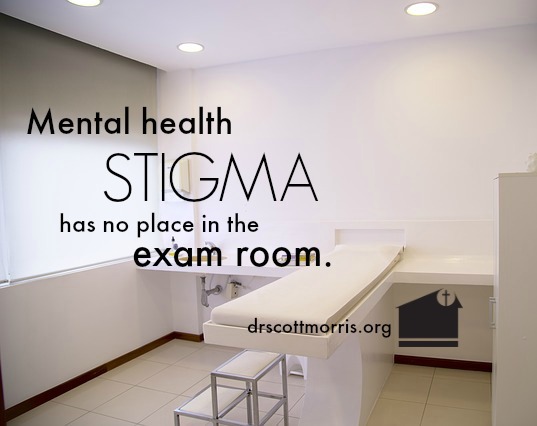 Whether it’s a social stigma that perpetuates the myth that mental health sufferers are broken, lost causes or a patient’s self-stigma, the topic of mental health remains taboo, even in the exam room. 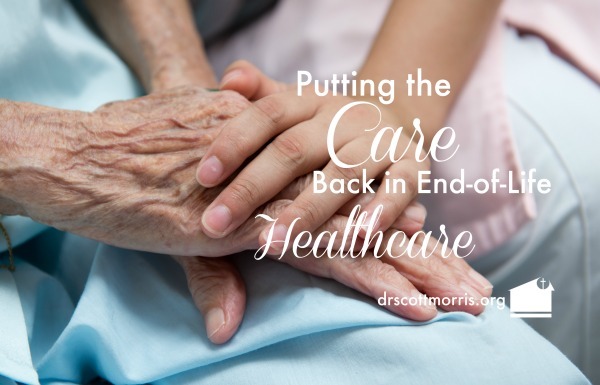 A patient will openly admit that their hip hurts, but they’re less forthcoming in admitting that they can’t remember the last time they felt joy. The fear of admitting “weakness” prevents them from receiving the very treatment that can help them get better. I hoped that Bethany was open to seeing our counselor, but I was still afraid that an abrupt this-appointment-is-over response might be coming. I just couldn’t justify performing a number of expensive tests or giving her medicine for “feeling bad,” which would in effect be a placebo. There was a recent segment on the PBS news that featured the daughter of my good friend and former Church Health Center board chair, Dr. Kenneth Robinson. His daughter, Dr. Maisha Robinson, is a physician at UCLA who is working with African-American clergy in Los Angeles to encourage their congregations to embrace the idea of palliative care at the end of life. It is startling that only 8% of all African-Americans have a living will or are even open to discuss a plan that centers around how they will die. This compares to 45% of Caucasians. It is startling, but it’s also problematic. The problem stems from our country’s poor track record of providing quality medical care to African-Americans. Historically, blacks were not offered the best medical care possible. The residual of “experiments” like the Tuskegee Syphilis Study is still prominent in many minds. The consequence is that many African-Americans want the doctor to “do all they can” to prolong life, no matter the consequences. In my mind, this declaration is an illusion. There was never anything we could do to save the person’s life and provide true quality of life. We kept the person’s heart beating, but the essence of the person who was loved had long since died. The younger Dr. Robinson is working with pastors in LA to get them to preach that death is not the enemy, that offering comfort care at the need of life is a better way to help people die. There is always one more thing that we can try. There’s always one more drug we can add. We can always call one more consultant. But what is never asked is this: To what end? A person who is 85 years old with metastatic cancer is unlikely to live much longer no matter what the situation. Do we really want Grandmother to die around people she doesn’t know, in a place where they never turn the lights off, surrounded by people who do not know her well enough to love her? I am proud of Maisha for taking on this daunting task. Unfortunately, as a white male doctor, it is hard for me to effectively champion this cause and have people listen. It is people who look like me who made Maisha’s work necessary. But I do believe that people of faith can play a large role in helping her work and others like her succeed. While I am certain that it is not possible to die with dignity – death takes away your dignity – I believe that we can die well. It is the role of the Church to help people die in a way where God’s will that we have lived with joy can be fully realized.